A Universidade de St. Andrews está recebendo resumo/artigos para uma conferência em comemoração aos 200 anos de Razão e Sensibilidade. 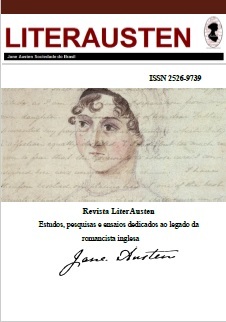 ‘I am never too busy to think of S&S’, Jane Austen wrote to her sister, Cassandra in April 1811. The year saw the publication of her first novel and to mark the event, we are hosting a conference that reflects upon two-hundred years of readership and opens up new interpretations of the novel. We invite proposals for 20-minute papers and round tables on any aspect of the novel. Keynote speakers: Kathryn Sutherland (St Anne’s College, Oxford), Paula Byrne (Liverpool) and Jane Stabler (St Andrews).